I am excited to reveal the cover for HOUND'S BITE, the fifth full-length novel in the Ivy Granger urban fantasy series by E.J. Stevens. We also have a giveaway and a sneak peek book excerpt to share! Ivy Granger thought she left the worst of Mab's creations behind when she escaped Faerie. She thought wrong. In a cruel twist of fate, Ivy has unleashed a powerful horde of Unseelie beasts upon her city, turning her homecoming into a potential slaughter of innocents. Now Ivy must gather her allies to fight a reputedly unstoppable force—The Wild Hunt. Will the training Ivy received in her father's court be enough to save her city, or will Harborsmouth be forced to kneel before the Lord of the Hunt? She is willing risk her own life, but some sacrifices come at a cost worse than death. When an ally is bitten by one of The Wild Hunt's hounds, Ivy must face the possibility that winning this battle may mean killing the one person she has come to love most. Books in this series: Shadow Sight, Blood and Mistletoe, Ghost Light, Club Nexus, Burning Bright, Birthright. Books in the Hunters' Guild spin-off series: Hunting in Bruges. Reading order can be found on the Ivy Granger World Complete Goodreads page. “What he’s saying, Princess is that you woke up something too big for the three of us to defeat alone,” Torn said. That made me pause. We’d fought faerie queens, pyro demons, a lovesick necromancer, and a psychotic lamia, to name a few. I may not have come through those battles unscathed, or with all my guts still on the inside, but with my friends at my side, and a new arsenal of wisp powers at my fingertips, I felt nearly invincible. I looked to Ceff, hoping he’d grab his trident and join me for some quick monster cleanup. I may not be on the clock for this one, but I didn’t let hungry fae prowl the streets of Harborsmouth. And if Torn was right, I’d somehow let this one follow us out of Faerie. No way was I turning tail, no matter how tired I was. But Ceff didn’t reach for his weapons. “We need allies,” he said. “And larger weapons,” Torn said, with a wink. The cat sidhe looked excited, which was a clue that I wasn’t going to like the answer to my next question. “And what monster do we need to gather our allies and weapons against?” I asked. Ceff turned to me, closing the space between us. In the moonlight, I could see my reflection in the dark pools of his kelpie eyes—eyes that were tight with worry. “What are they?” I asked. Ceff’s voice was low and reverent, and tinged with the taint of fear. 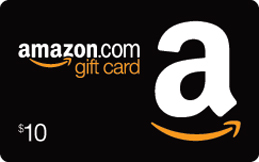 To celebrate the Hound's Bite cover reveal, we are giving away a $10 Amazon Gift Card! To enter, please use the Rafflecopter form below. This giveaway is INTERNATIONAL. Giveaway ends February 23, 2016 midnight EST. Haven't started reading this series? You're in luck! SHADOW SIGHT, the first novel in the Ivy Granger series, is FREE this month on Amazon.com, Amazon.CA, and Amazon.UK. Grab your free copy of Shadow Sight and enter the award-winning urban fantasy world of Ivy Granger, Psychic Detective. Yay! Thank you, Amanda. Glad you like it. It's a great cover. Love the red eyes. Love it! The red eyes on the horse really draw the eyd. I love the cover! The red eyes of the rider are frightening, but the red eyes of the horse are even more chilling! The cover has a mysterious tone to it. It's pretty cool. I really like the red eyes and the misty background. Thanks. Thank you, Carl. Glad you like it! 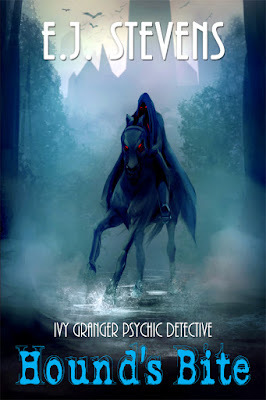 The cover is very Legend of Sleepy Hollow! Love it! The cover is very reminiscent of the Headless Horseman. I like it. I think the cover is very intriguing. I think it is creepy, but in a good way! It makes the book look like it will be very interesting! The cover is appealing. I enjoyed reading the excerpt. Thanks. Creepy. Thanks for the giveaway! Really pretty cover! It draws attention. I think that the cover will attract a lot of readers! I love the cover and think that it will get a lot of attention from potential readers! I think it looks like a great cover! I think the cover looks awesome. Gives of a sense of danger, mystery and magic. I do like the cover. I like the cover in all it's mysterious. I like how dark and spooky the cover is. I think the cover is mysterious, captivating, misty and spine chilling. It looks great,thanks for the chance! It's memorable, that's for sure, and really grabbed my interest! I dig it. Of course the red eyes make it cool and creepy, but I also like the setting with the castle in the background. The cover is very mysterious and I love the red eyes! A bit spooky. But it would be better if the red glare of the horse's eyes were more visible. Some books have too much writing on the cover making it look too busy, but your cover is great. I like the cover. It definitely catches your eye with the red eyes and black horse and rider. And the title has me wanting to read this. I am pretty sure I have read one of Stevens books, but nothing from this series. I like the new cover - definitely, catches your attention. I love the cover! It looks awesome! It's a really eye-catching cover. Very Atmospheric. I like the red eyes. I love it. It's chilling and mysterious and seems appropriate for the story. I really like it. It's a good creepy cover. I love the cover, it makes me want to read it. Nice colors and love the red eyes of the horse. I just love the cover and I would love to read this book. ty. I like the cover between the artwork and the text. The red eyes on the figure and horse both stand out. I love the cover- mysterious and draws me in. This is a very unique book cover. I think that it looks spooky! I think its a great cover! Very memorable!